It is the late 19th Century. The British Empire spans a quarter of the planet and rules over 458 million souls. She is in fierce competition with the other colonial powers who are hungry for their own piece of global dominion. Mighty steam-powered warships ply the ocean waves and rivers. Adventurers and scoundrels explore the mysteries of vast, uncharted continents. Savages, exotic Easterners, and rough hill tribes menace the borders and run their distant, inscrutable empires. Through it all, the red coated lads of Her Majesty’s military and her allies march through the blistering deserts, climb the inhospitable mountain passes, and spill their crimson blood along the frontiers of English civilization. 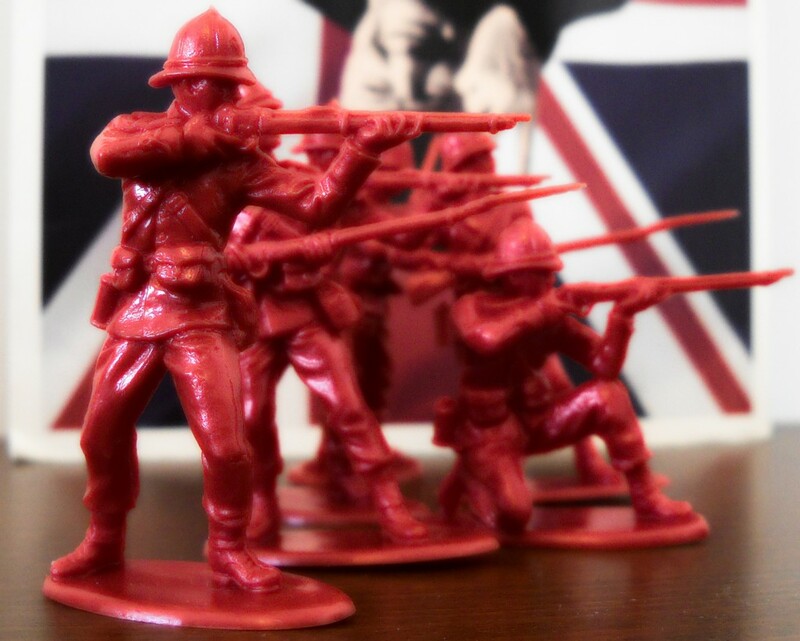 At the Queen’s Command (AtQC) is a fast-moving wargame between two or more people played out on a tabletop, backyard or living room floor using miniature toy soldiers to represent various units, tribes and armies. You command one of these armies and your goal is the destruction and rout of your opponent’s forces. Winning will take a mix of strategy and luck, as you learn to outmaneuver, outsmart and outfight your enemy. Your tabletop or garden will become the scene of the action, with ancient hill forts, lushly appointed foreign consulate mansions and primal grass hut villages dotting the landscape of your battlefields.